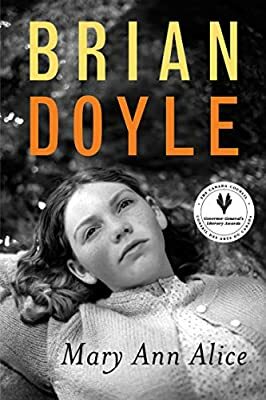 In this brilliant and poetic novel, BRIAN DOYLE brings us back to the Gatineau River near Ottawa, the world of UP TO LOW and UNCLE RONALD. Mary Ann Alice McCrank was named for the pretty church bell in the steeple of St. Martin's Church in Martindale. She has the soul of a poet and Mickey McGuire Jr. (son of Mickey, the narrator of UNCLE RONALD) is in love with her. Mary Ann Alice is passionately interested in many things, especially the geology of her part of the world. Her teacher, the wonderful Patchy Drizzle, shares her passion for rocks and fossils, many of which can be found along the river and in caves under the famous Paugan Falls. But a new project to dam the river at Low places rocks, fossils, falls as wel as many farms in danger, including those of Mean Hughie from UP TO LOW and the strange Cork family. But the dam must go ahead. And, as with much technological change, it brings both benefits and tragedies to the community.